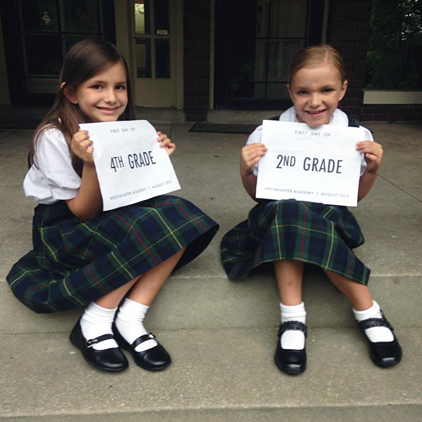 These two had a great first day. We have been telling them that every day is an opportunity they can seize, and I look forward to seeing all they will do. I pray that they use the time they are given to work hard and learn everything they can. Now that they are the establishment rather than the new kids in town, I pray that they will show kindness and welcome others well. I pray that they will grow in wisdom as much as knowledge and learn how to succeed and fail with grace. Thankful for our school and for our sweet students. This entry was posted in parental ponderings. Bookmark the permalink.